Hefeng Hall Gallery belongs to Guilin Hefeng Cultural Transmission Company. 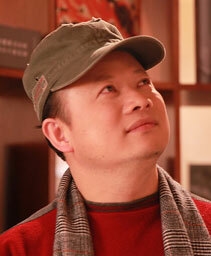 It is an agency of native Chinese artists such as Du Kelu, and it exhibits, researches, collects and transacts artwork. It values contemporary ink and wash painting while promoting traditional Chinese culture. October, 2015, Du Kelu “Learning from Late Masters” solo exhibition. November, 2015, Shen Suhua “Dialogue between Couplets and Philosophy”. October, 2016, Du Kelu “Making the Past Serve the Present” Painting and Calligraphy Exhibition.